The tank car backlog in 4Q18 increased to 34,512 vs. 31,473 in 3Q18. 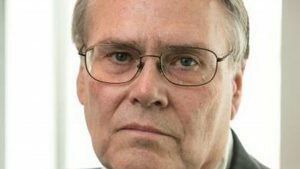 William C. Vantuono photo. Non-tank car orders totaled 13,942 railcars in the quarter vs. 13,656 in 3Q18. 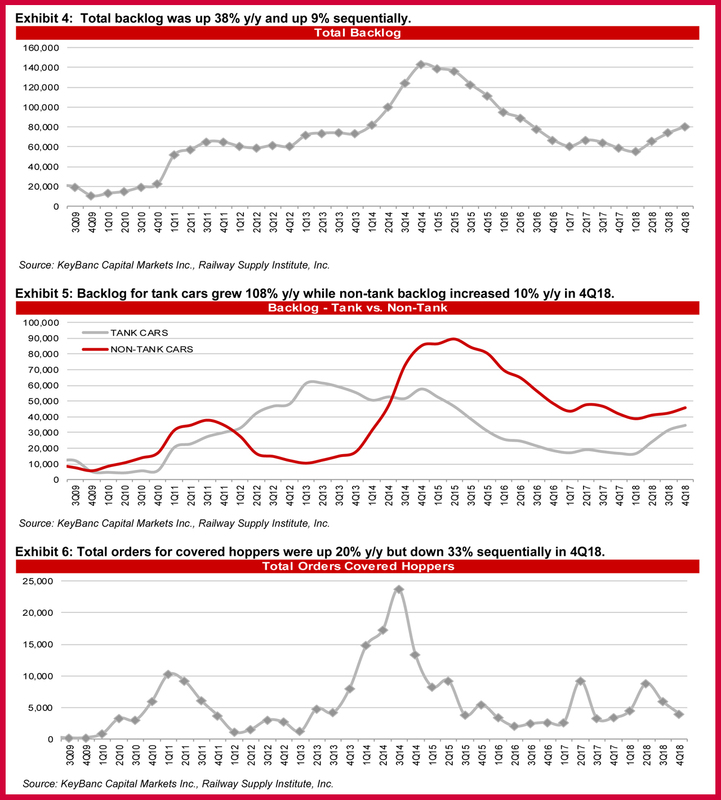 Covered hoppers totaled 3,998, or 20% of total orders, down 4% from the prior quarter, with medium-cube covered hoppers representing the majority of the orders at 2,368 cars vs. 1,265 railcars in 3Q18. 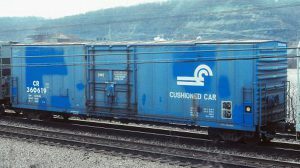 Orders for large-cube and small-cube covered hoppers were 1,630 and 0, respectively, vs. 3,760 and 920 cars, respectively, in 3Q18. 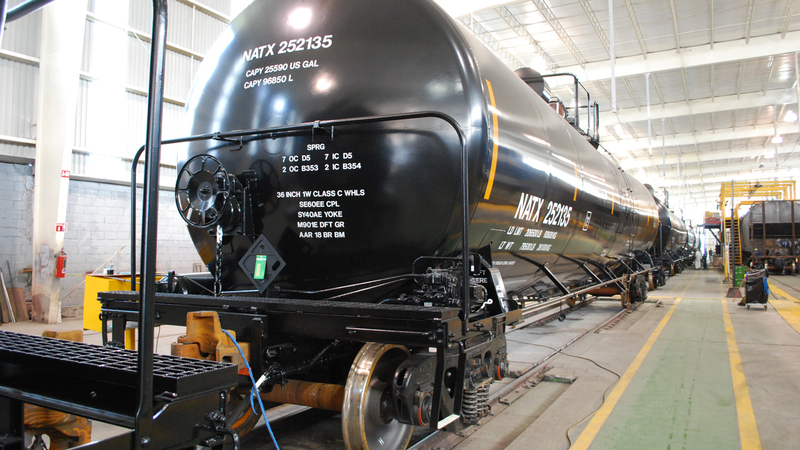 Tank car orders were 6,013, vs. 3Q18’s 11,316. 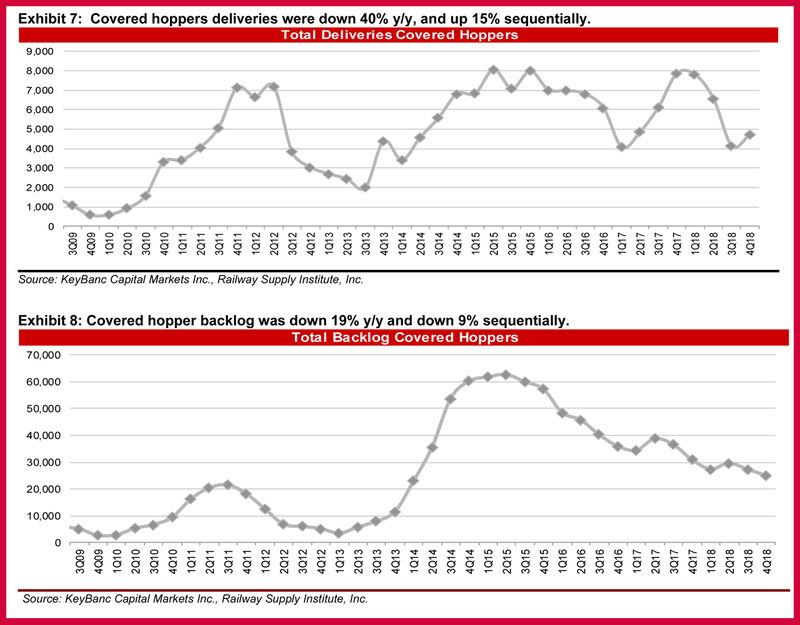 Together, tank and covered hoppers accounted for about 50% of total orders in 4Q18, vs. about 69% in the prior quarter. Deliveries were approximately flat y/y and up 20% from 3Q18 levels—13,462 (3,529 tank cars and 9,933 non-tank) vs. 11,221 in 3Q18. 4Q18 tank car deliveries increased about 31% sequentially, and were up about 58% y/y. 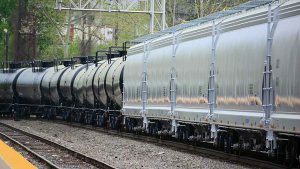 “We think current deliveries imply the industry has roughly 10 quarters of tank car backlog visibility,” KeyBanc said. The backlog is at its highest level since 2Q16—80,223 railcars, up about 9% from 3Q18’s 73,812. 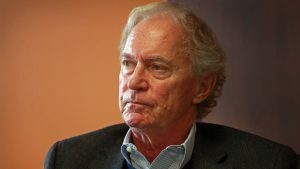 “On current deliveries, we think the backlog implies roughly 6 quarters of theoretical production visibility,” KeyBanc noted. 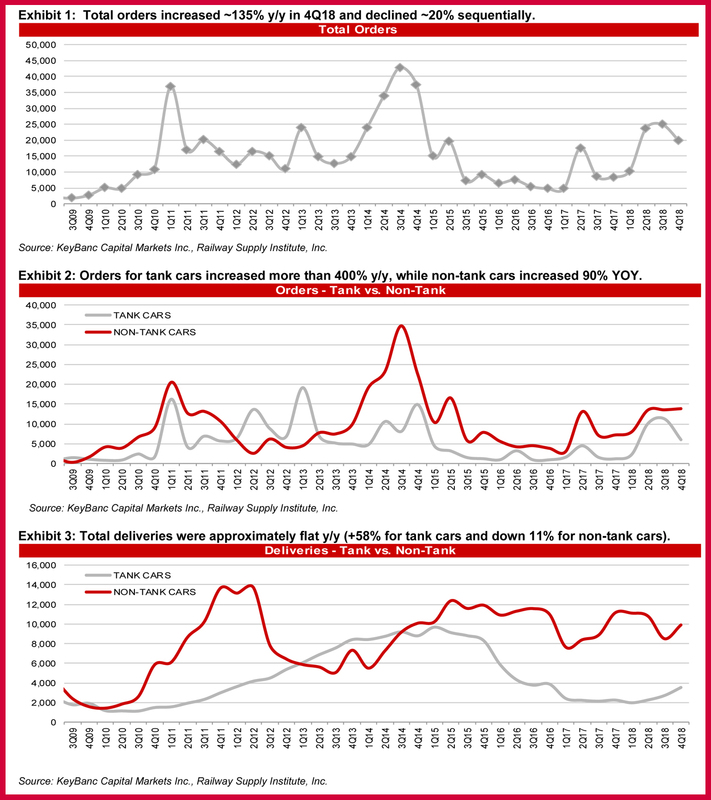 The tank car backlog increased to 34,512 vs. 31,473 in 3Q18. The non-tank backlog increased about 8%, to 45,711, vs. 3Q18’s 42,339. 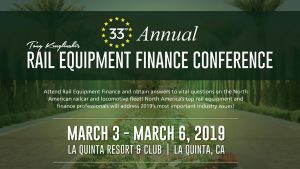 “We think the industry backlog continues to trend toward a more ‘normalized’ concentration of car types, consisting of 43% tank and 31% covered hopper,” said Barger, Newman and Mills.